2018 has been a year characterised by uncertainty, but also significant leaps in research, access, and industry deals. 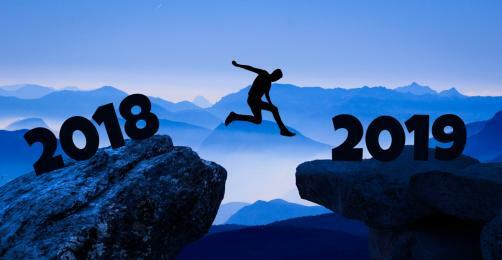 With 2019 bringing a host of new challenges, not least of which is Brexit, Pharmafocus spoke to industry figures to ask what the past year meant, and what their projections are going forward. What would you say have been the big developments of the year? Across the industry we have seen great developments in recognising the importance of quality of life and patient preference. No longer are treatments developed which simply treat cause and symptom, but instead the entire patient journey is better understood. In HIV for example, medicines are continually evolving, meaning people living with HIV are now able to live longer and healthier lives through better management of their condition. Personalised medicines continue to make progress, as we see the first cell therapies licensed by the FDA and EMA to treat certain types of blood cancers. These therapies could be the foundation from which to drive innovation in the field of cancer. Gilead has been at the forefront of these changes and we strive to continue shaping this transformation for years to come. Uptake and value of new and innovative medicines continues to be a hot topic, as cost pressures on healthcare systems continue to escalate. We hope this will lead to a better collaboration between the pharmaceutical industry and healthcare systems to make innovation accessible to patients. Sir John Bell’s ‘Life Sciences Industrial Strategy,’ for instance, sets a very positive tone in the UK in this regard. How can we rise to meet the challenges 2019 will bring? A challenge the industry still faces is the need to go beyond providing access to innovative medicines, but to also support the patient holistically. That’s why Gilead invests in initiatives that work in partnerships with the most innovative industry minds and patient organisations. We believe that through thinking and doing things differently, and embracing fresh perspectives from within and outside the HIV community, we can support innovative solutions to addresses the greatest challenges in HIV. The uncertainties around the post-Brexit world continue to be a challenge, but we appreciate the government’s emphasis on the importance of Life Sciences in the UK and its willingness to support a strong Life Sciences base. How are we doing with regards to meeting the recommendations of Sir John Bell’s strategy? What more do you think needs to be done? The Strategy outlines recommendations to ensure the UK is, and remains, a world leader in healthcare, and it should be considered as a sustained effort over at least a five-year period. We see this as a very encouraging step. However, more needs to be done to fully implement its recommendations, such as greater effective collaboration with the NHS to ensure their commitment to the Strategy and the uptake of innovation. We have started to see clear examples of such NHS collaborations in all our therapy areas. What did 2018 mean for Gilead? In 2018, Gilead started to move into new cutting-edge therapy areas, including cell therapy, as well as inflammation and non-alcoholic steatohepatitis (NASH). In our established areas such a HIV, our goal is still working towards a cure, whilst we remain dedicated to improving the health and well-being of all the communities that we serve through programmes such a HIV Age Positively. While we have seen some diversification in our therapy areas, our mission remains the same. It’s about bringing innovation in areas of high unmet patient need and ensuring access for patients in partnership with communities. HIV is an area of huge importance of course for patients, but also for Gilead. What did 2018 mean for the field, and what progress can be made throughout 2019? Gilead has been at the forefront of progress in HIV for the last 30 years, and we are continuing to strive for further advancements to improve the lives of people living with the condition. Despite the progress made, we are still in the midst of a HIV epidemic. For the first time, people are ageing with HIV and this also brings new challenges, such as the long-term effects of HIV and treatment on health, and managing comorbidities associated with ageing. In 2018 we have received approval by the EMA for our latest single tablet regimen. Moving forward, our ongoing investments in HIV research are focused on the discovery and development of next-generation therapies, including long-acting formulations and potential cure strategies. We also remain focused on prevention. Looking ahead, what are your expectations for industry developments through 2019? We hope to see continued innovation in established therapies and ground-breaking work in new areas, which will be delivered fast for patients. We can’t look to the future in the UK without considering the strains the NHS is under, and the impact Brexit will have on the way everyone does business. I think in 2019 everyone will be working hard to understand the changing landscape and adapt to this in order to ensure treatments continue to get to the patients who need them, when they need them. What did the past year bring to the Mundipharma Network, particularly in relation to your biosimilar efforts? For me there have been two major highlights for the Mundipharma network in 2018 that have led to this being a record year for sales and growth in Europe. The first has been our ability to continue to demonstrate our market leadership in the biosimilar arena; our partnership with Celltrion expanded this year to include Herzuma (biosimilar of traztuzumab) in our portfolio in the spring of this year, with extremely impressive early uptake in several markets. While the acquisition of Cinfa Biotech and its biosimilar development expertise – which we announced in October – meant that not only can we broaden our commercial footprint in Europe by launching Pelmeg (biosimilar of pegfilgrastim) in multiple countries following anticipated EMA approval in November; we can also deepen our expertise with the additional capability to develop future biosimilar medicines in-house. We are very proud of leading the way in Biosimilars in Europe. By expanding access to this important group of medicines to patients who need them most. We have not only improved patients’ lives, but also saved health economies across Europe hundreds of millions of Euros in the process. The second highlight is about us proving our commercial excellence and expertise in specialist driven primary care. In 2017 we obtained distribution rights to Invokana (canagliflozin) from our partners Janssen, and despite the type 2 diabetes market being one of the most competitive spaces in which to operate, we have been able to maximise our ability to understand and anticipate local markets’ needs and communicate the asset’s value to prescribers and payers, increasing market share and growth of the brand. We are confident many more patients will benefit from this treatment option in 2019 as a result. And what about the wider industry? For the pharmaceutical industry, 2018 has been a year of new partnerships. Whether it’s R&D collaborations or commercialisation agreements, there has been real acknowledgement that increasingly you need to look outside your own organisation to find the right partner, with the right capabilities to maximise the potential of an asset, whatever stage it is in the lifecycle. This is something we are keenly aware of. As a network of independent associated companies built on partnerships, we have benefitted from this trend, as our ongoing partnerships across the life-cycle demonstrate. The challenge in 2018 has been the continuing need to demonstrate value for new medicines. Partnership with payers is a key focus in our industry now and shows no signs of abating in 2019 as value-based pricing and value-based procurement continues to grow. Pharma companies need to provide better patient outcomes for their medicines than ever before to achieve and maintain reimbursement. In light of this, what are your plans for 2019? In 2019 we are launching five medicines in Europe, each with clear benefits to patients and to health economies. Our ability to collaborate effectively is vital, both internally to ensure launch success, from manufacturing, regulatory, supply chain and commercial teams, and externally through partnering with healthcare providers, payers and patient groups to ensure the medicine is available to those who need it, in a timely manner, right across Europe. In 2019, the Mundipharma network will continue to drive innovation and commercial excellence through partnerships. This will be an important year for advancing our pipeline in oncology as well as biosimilars and for continuing to excel in delivering value through partnership excellence, be that with other pharma, our colleagues, healthcare systems and ultimately the patient. This has been a key factor in our growth and success to date. 2018 has certainly been an eventful year for many. Can you name a few highlights for Eisai? At Eisai, we focus on two therapeutic areas – neurology and oncology – and during the last 12 months we have celebrated many highlights, while working to address industry-wide challenges. My first highlight would have to be the line extensions of our epilepsy brands to treat epilepsy in young children – an indication that is often associated with a particularly high burden of disease. What I mean by this is that epilepsy is a very emotional condition, not only for the child but for their carer; managing epilepsy in a child can be a daily struggle for a parent, and getting their child through adolescence with minimal impact on quality of life is not only a physical challenge but an emotional one. It makes our employees and I very proud to be able to help young patients and their families work towards a life without seizures. My second highlight is that Eisai has delivered Lenvima (lenvatinib) as the first, first-line treatment for advanced hepatocellular carcinoma (HCC) in a decade. HCC is a devastating disease that has seen little progress in recent years in terms of innovation and new systemic treatment options, so lenvatinib as an alternative treatment option is a very welcomed step forward for physicians, HCC patients and their families. Looking forward, Eisai and Merck/MSD joint co-development and co-commercialisation of lenvatinib and Keytruda (pembrolizumab) as a combination therapy aims to further extend the therapeutic area of lenvatinib to renal cell carcinoma and endometrial cancer – a huge breakthrough, in particular for women who are suffering with few treatment options. For you, what would you say has characterised the past year in the industry? Within our industry, the most significant trend spanning the past year and beyond is the rapid innovation in oncology. The continuous shift in standard of care ensures we must consistently stay ahead. On the contrary, we see a lack of drug discovery and development in dementia, although we have three drugs in late-stage clinical development: aducanumab, elenbecestat and BAN2401 (in joint development with Biogen), and a fourth which was discovered in collaboration with University College London (UCL) that is currently being prepared for Phase 1. Looking ahead to 2019 I believe the pharmaceutical industry, including Eisai, will continue to invest in and develop innovative medicines for patients. What remains some of the biggest challenges ahead of us as we move forward? In the EMEA region, the largest challenge we face remains market access. However, at Eisai we work and live by our human health care philosophy, meaning we strive to do whatever we can to ensure patients can access our treatments. Focusing on the UK – due to the upcoming Brexit and the forthcoming changing landscape of regulation – our mission is to ensure our existing portfolio of medication remains to the highest quality, supply and standard. Under our human health care philosophy, our patients take priority over our profits and we have an obligation to ensure a stable supply regardless of environment. How do you anticipate Brexit will impact the industry when the withdrawal date comes in March next year? We have been preparing for Brexit since the results of the 2016 referendum were announced. Although we have planned for the UK’s departure from the European Union, there are factors in the wider environment that we cannot control. We believe it is important that the Medicines and Healthcare products Regulatory Agency (MHRA), the European Medicines Agency (EMA), the EU Commission and the UK authorities collaborate as much as possible to ensure an uninterrupted supply of medicines. Although the relocation of the EMA from London to the Netherlands adds to this concern, we are confident in our preparations to ensure as seamless a transition as possible. What trends have you noticed developing within the industry throughout 2018? Immunotherapy is clearly the hot area to be in, as demonstrated by the growing number of combination trials, assessing two immunotherapies in combination or immunotherapy in combination with standard of care. The other notable trend is precision medicine and personalised medicine. While this has been the focus of pharma for several years, the interest in biomarkers has become even stronger. Keytruda was the first immunotherapy to be approved across indications in cancer patients with high mutational burden, but more will follow. The competition within the field creates a need to demonstrate stronger clinical efficacy, and this leads to a stronger focus on patient selection in order to increase the number of responders. Smaller studies in pinpointed patient groups will probably be more common. What challenges have arisen over the same period? How can these be overcome moving forward? A key challenge is how to handle the fact that PD-1 blocking agents will become the backbone of most cancer immunotherapy regimens. Should companies form alliances early to get access to PD-1, which usually means that you will be forced to give up confidential study data to your PD-1 partner, or is it better to remain independent? With the number of PD-1 agents increasing steadily, access might become less problematic. Also, increased competition is making it more difficult to get attention from Pharma. There are so many compounds in development that it is not enough to have a great molecule with fantastic potential – you will also need clinical data, and data that is superior to a large number of your competitors. This requires larger studies, meaning that companies will have to invest more money and a longer time in each project. What has Alligator Bioscience achieved this year? 2018 has been a year of important progress for Alligator. Our tumour-localising CTLA-4 and OX40-binding bispecific antibody ATOR-1015 moved from preclinical phase into the clinic with the submission of its clinical trial authorisation (CTA) application. Our plan is to start a clinical Phase 1 study in patients with advanced solid tumor disease before the end of the year. We also recently announced the addition to our project portfolio of ATOR-1144, another first-in-class bispecific tumour-localised antibody, this one targeting CTLA-4 and the co-stimulatory receptor GITR. This means that we now have five projects in clinical or preclinical development. What are you hoping to see in the coming year? As the greatest challenges seem to revolve around demonstrating clear clinical efficacy outside the field of checkpoint inhibitors, it would be good to see a breakthrough in immuno-oncology antibodies targeting co-stimulatory receptors, and in cancer vaccines. From Alligator´s perspective, we’ll be hoping for emerging safety data confirming our hypothesis for ATOR-1015 – that it provides strong CTLA-4 immune activation without systemic toxicity, avoiding the harmful side effects often seen with broader immuno-activating treatments. Submitted by alice taylor on Thu, 03/01/2019 - 09:03.